Eye-catching hanging baskets to grow Shrewsbury’s appeal as ‘a town of flowers’ will add colour and vibrancy to shops and businesses with help from Shrewsbury Business Improvement District (BID) this summer. BID members who request a hanging basket outside their premises are getting a reduced cost. Shrewsbury BID are also providing new-look flags carrying the Original Shrewsbury logo to go in the bracket holding the baskets. The town has a reputation for being a picture of blooms thanks to the skills of the workforce at Shrewsbury Town Council’s nursery at Weeping Cross. 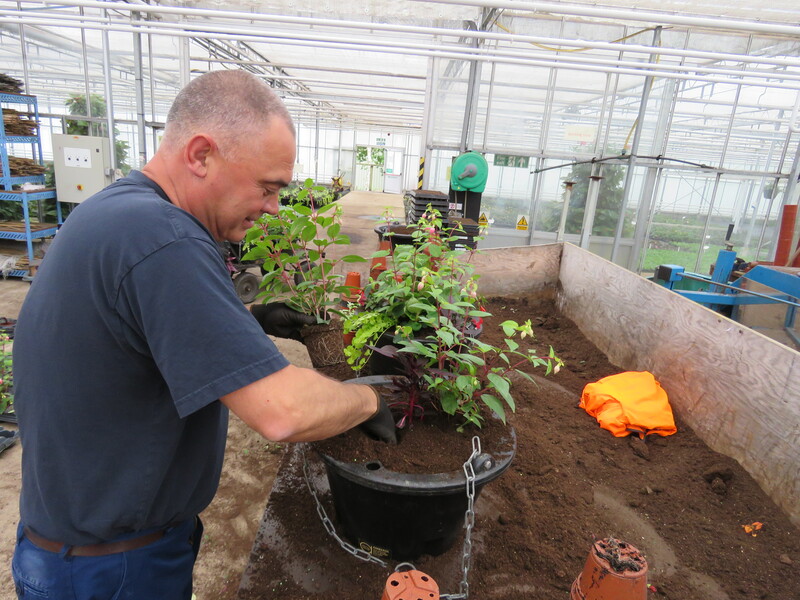 The team provide hanging baskets and planters in public spaces and at public buildings and also offer them for a small fee to businesses and organisations. Around 300 baskets are expected to be ordered in this way to boost the look of the town and appeal to locals and visitors alike. Seb Slater, Director of Shrewsbury Business Improvement District (BID), said: “Offering a reduced rate to businesses for the sponsorship of a hanging basket is a great way of giving back to both the businesses and our local community, whilst also making sure that visitors to the town are met with a warm and vibrant welcome. The baskets will be installed in early June and maintained and watered throughout the season. Shrewsbury’s floral efforts will be judged in the prestigious Britain in Bloom competition at national and regional level in July. BID members can order hanging baskets here.